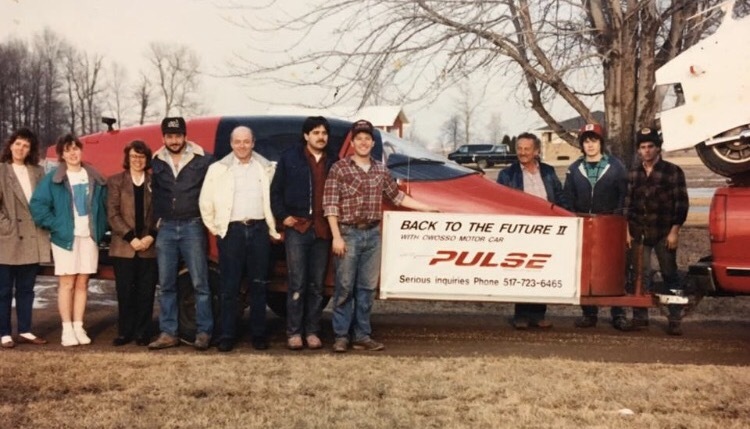 Ken Haughton, along with his wife Donna and family, hauled many Pulses all over the United States for the Owosso Motor Car Co. from 1986 to 1990. 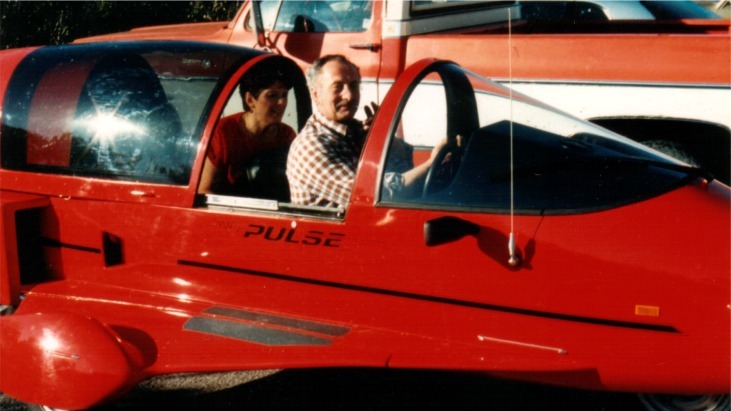 Below we see Ken & Donna unloading a Red Pulse in Las Vegas, Nevada. 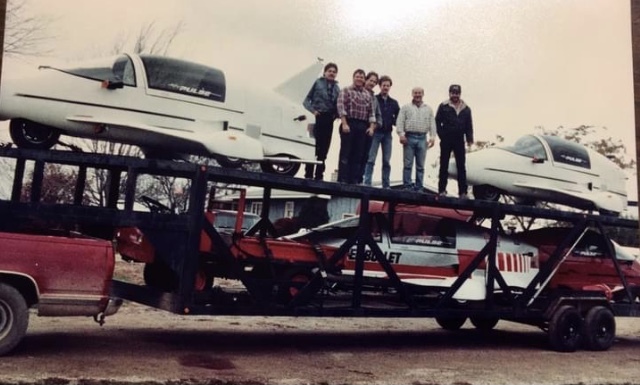 Below is the trailer that Ken built to haul the cars. 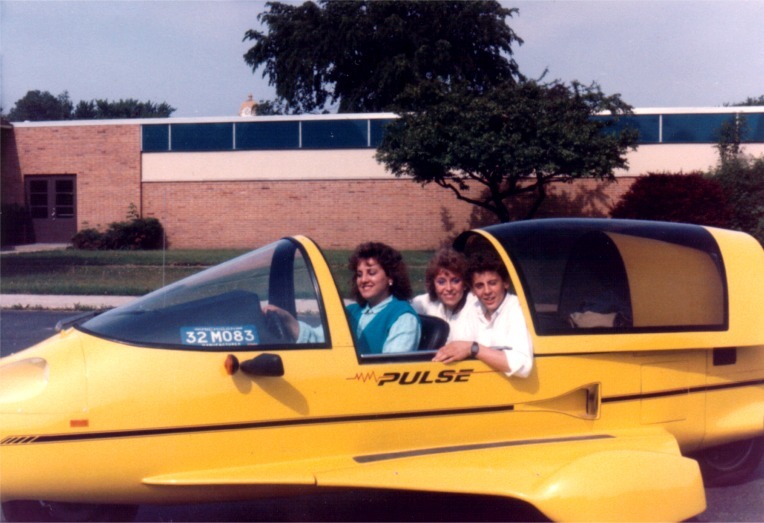 This may be in the spring of 1989. 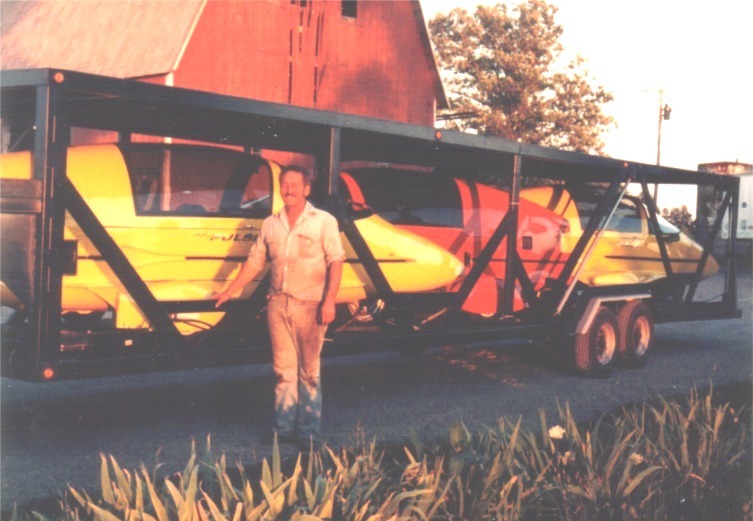 Kenny delivers the movie car with his pickup. 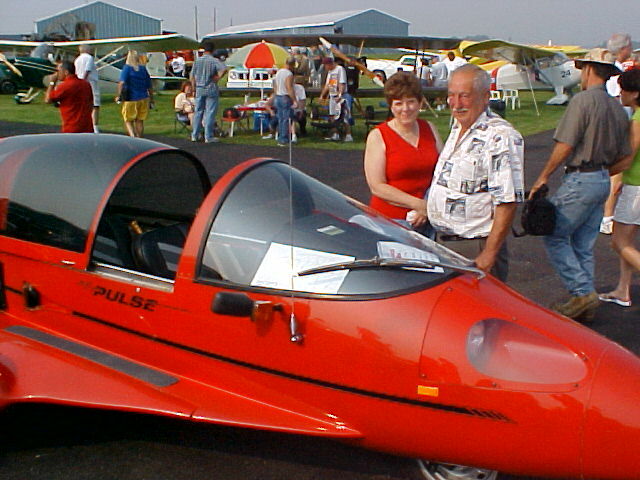 Below, the Haughton Kids take Pulse #27 out for a spin.